Xbox. 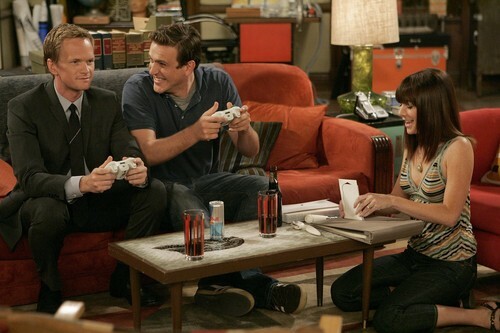 I know this is slightly strange but in the Himym A-z for X Jennifer guessed Xbox but we weren't sure if they had one but that looks like an xbox controller to me right?. HD Wallpaper and background images in the How I Met Your Mother club tagged: how i met your mother himym barney stinson ted mosby xbox image picture. I don't know if that is an Xbox controller, but in the last episode, The Goat, Ted says "Barney, you want my Xbox? ", so I guess Jennifer is right. That is an Xbox controller! Wow! Jennifer is awesome!